Doing some scattershooting on the night before the WHL playoff grind gets started . . . If you watched the World Baseball Classic, you will know that John Smoltz is as good as any analyst working in any sport today. Russ Howard, TSN’s curling guru, is pretty good, too. In fact, TSN’s curling crew — Vic Rauter with Cheryl Bernard and Howard — is a rare case of three-in-a-booth working well. There’s an interesting story developing in Kamloops where the junior B Storm had a disastrous season at the gate after moving from McArthur Island to Memorial Arena for the 2016-17 season. There is lots of parking on the island, not so much downtown around Memorial Arena, and that’s a recipe for disaster. Owner Barry Dewar now says he may not be able to afford to bring back head coach Ed Patterson, a former NHLer, for another season. The same 22 head coaches who started the WHL’s 2016-17 regular season managed to finish it. The question now is: How many of them will start 2017-18? I like the Kelowna Rockets and Regina Pats to meet in the WHL’s final for the Ed Chynoweth Cup. But all bets are off if the mumps virus pops up somewhere along the playoff trail. 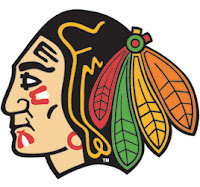 Headline at whl.ca on Sunday night: Winterhawks fly north for clash with Cougars to open WHL Playoffs. Not so fast, Sully. The WHL prohibits flying until the championship final when it’s Eastern Conference vs. Western Conference. You are aware that actor/comedian/bad golfer Bill Murray is a long-time supporter of the Chicago Cubs, who ended that million-year drought by winning the World Series last spring. But are you aware that Murray also backs the Xavier Musketeers, who upset the Arizona Wildcats, 73-71, in the NCAA tournament on Thursday night? Murray’s son, Luke, is on Xavier’s coaching staff. Next up for Xavier? Spokane’s Gonzaga Bulldogs in an Elite 8 game on Saturday, 3:09 p.m. PT, from San Jose. “If I was running the NHL, I’d be terrified of offside video reviews in the post-season. One of them is going to decide a playoff series, and it’s going to be ugly.” That was Sportsnet’s Elliotte Friedman in his weekly 30 Thoughts essay this week. F Massimo Rizzo made his BCHL playoff debut with the Penticton Vees on Thursday night against the visiting Merritt Centennials. . . . The Kamloops Blazers selected him 15th overall in the WHL’s 2016 bantam draft. Rizzo, from Burnaby, was the Canadian School Sport Hockey League’s MVP and freshman of the year after putting up 53 points, including 12 goals, in 28 games with the Burnaby Winter Club’s midget prep team. . . . The Centennials won last night’s game, 5-4, to send the series back to Merritt. The Vees, who won 2-1 in OT in Merritt on Tuesday, hold a 3-2 lead. The 2017 IIHF World Women’s Championship is scheduled to open March 31 in Plymouth, Mich. What if Team USA doesn’t show up, sticking to its guns and boycotting? I covered the 2016 event in Kamloops and I couldn’t imagine what that would have been like without Canada’s national team. You have to wonder what the TSN pooh-bahs are thinking as they repeatedly run promos for its coverage of the IIHF World Women’s Championship, focussing on a Canada-Team USA game that is scheduled for opening night. With the way Team USA is sticking to its guns, TSN better get some darts or poker cued up and ready to go. G Marek Schwarz (Vancouver, 2004-05) and F Tomáš Plíhal (Kootenay, 2001-03) have signed one-year extensions with Orli Znojmo (Czech Republic, Erste Bank Liga). In 31 games, Schwarz was 2.87 and .907 with one shutout. Plíhal had seven goals and nine assists in 30 games. The Prince George Cougars won the first pennant in that city’s 23-year WHL history by going wire-to-wire to capture the B.C. Division title. But when the WHL announced its all-star teams and award winners on Wednesday, the Cougars were blanked. Zippo. Nada. Hey, Cougars, what do you think of that? The Cougars open a first-round series against the visiting Portland Winterhawks tonight (Friday). There could be some extra fire in this series — the Winterhawks wanted a 2-3-2 format; the Cougars wanted, and got, a 2-2-1-1-1 series. 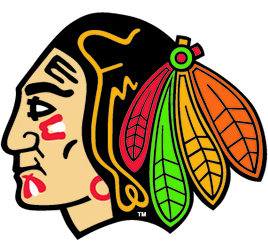 The Winterhawks’ roster boasts Mike Johnston, the Western Conference’s coach of the year, and F Cody Glass, who was named to the conference’s first all-star team. Glass, who will be an early first-round selection in the NHL’s 2017 draft, missed the last five periods of Portland’s regular season with an apparent arm injury. There has been nothing but crickets out of Portland on his status, so fans will have to wait until Johnston posts his lineup for Game 1 to find out whether Glass will play. The Cougars likely will have F Brad Morrison back for the first time since he suffered an ankle injury during a fight in a game with the visiting Edmonton Oil Kings on Feb. 24. Morrison, who missed nine games, finished with 52 points, including 21 goals, in 61 games. If you are a subscriber to Shaw TV, you will have access to a pair of WHL first-round playoff series. . . . The Shaw crew will cover the series between the Kelowna Rockets and Kamloops Blazers. Games 1 and 2 are set for Kelowna on Friday at Saturday nights, with the telecasts starting at 7 p.m. PT. . . . Meanwhile, Shaw subscribers also will be able to watch the series between the Regina Pats and Calgary Hitmen, which will be produced by Access7 out of Regina. That series opens with games in Regina on Friday and Saturday nights, with the telecasts starting at 7 o’clock MT. The Medicine Hat Tigers have signed D Trevor Longo to a WHL contract. Longo, from North Vancouver, was a sixth-round selection in the 2015 bantam draft. Longo will turn 17 on April 23. He played this season with the Vancouver-Northwest Giants of the B.C. Major Midget Hockey League, putting up 37 points, 11 of them goals, in 40 games. Last season, he had 11 points, including two goals, in 38 games with the Giants. The Vancouver Giants missed the WHL playoffs for the third straight season and the fourth time in five seasons. Of course, general manager Glen Hanlon and head coach Jason McKee both were in their first seasons and they know this project will take some time. . . . “I have said it before, it is not an oil change, it can’t be fixed in 20 minutes; it is going to take some time,” McKee told Gary Ahuja of the Langley Times. “When I came out here, I knew it wasn’t going to be an easy task, I knew it was going to take some time.” . . . Ahuja’s story is right here. The AJHL’s Grande Prairie Storm has named Mark Bomersback as general manager and signed head coach Matt Keillor to a new contract. . . . Bomersback, the AJHL’s all-time leading scorer, had been the Storm’s director of scouting. As GM, he is working on a month-to-month deal, at least for now. . . . Keillor, who had been the head coach of the midget AAA Ernie’s Sports Experts Storm, took over as general manager and head coach when Kevin Higo was fired in midseason. Keillor’s contract is for two hers with the team holding an option on a third season. . . . The Storm reached the playoffs for the first time since the spring of 2013, finishing 15-38-7 before losing a best-of-five series in three games to the Whitecourt Wolverines.